CHOCOLAY TOWNSHIP, MI – Mary Margaret De Broux Reichel, 93, of Chocolay Township, died on August 17, 2018 at Mill Creek Assisted Living. Mary Margaret was born February 20, 1925 in Lake Geneva, WI, to William and Mary Elizabeth Kaddatz. She graduated from Lake Geneva High School and Milwaukee State Teachers College with a degree in Vocal Music Education. She taught music in the West De Pere school system for several years. 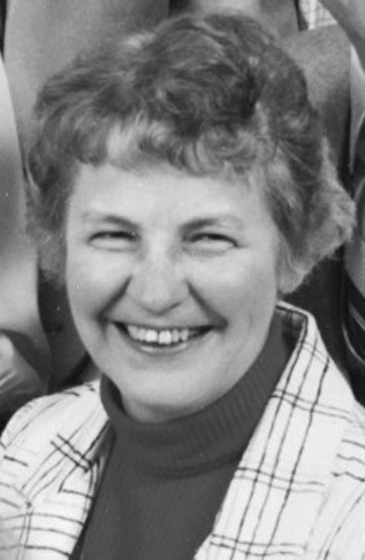 She also taught piano in De Pere and Chocolay Township for 39 years; in Chocolay Township she taught 233 students. She married Maurice De Broux in 1951 and they were together until his death in 1970. She was remarried in 1980 to Woodrow “Butch” Reichel and they were together until his death this year. Mary Margaret’s love of music showed not only in her education and career, but also through her long association with the Negaunee Male Chorus. She was accompanist for four years, followed by 12 years as director. She was also music director and organist for many years for St. Louis the King Catholic Church in Harvey. If Mary Margaret was at a gathering of friends where people were singing, it was likely that she would be accompanying them at the piano. Mary Margaret loved to play bridge and was a member of bridge clubs throughout the years. She was an avid fan of the Green Bay Packers and the Chicago Cubs and attended many of their games. She also loved knitting and knitted hundreds of pairs of mittens for the St. Vincent De Paul Society. Surviving are her four sons, William (Kristine) De Broux of Green Bay and Richard (Ingrid), Steven (Catherine), and Brian (Julia) DeBroux, all of Seattle; two step-daughters, Marcia (Ricky) Mattfield of Negaunee and Beverly Waters of Westland; five grandchildren, Adele (Eric) Sundquist, Zoe and Thea DeBroux, and Max and Sam DeBroux; three step-grandchildren, David (Emily) Mattfield and William (Melissa) and Steve (Alysha) Waters; three great-grandchildren, Madeline and Tiffany Sundquist and Milo Mattfield; and numerous nieces and nephews. She was preceded in death by one sister, Dorothy Foote, and two brothers, Vincent and Sheldon Kaddatz; and an infant daughter and son, Cynthia Ann and Richard Allen De Broux. A service will be held at the Swanson-Lundquist Funeral Home at 6:00 PM on Monday, August 20, with Rev. Greg Heikkala officiating. The family will greet relatives and friends at the funeral home beginning at 4:30 pm Monday until the time of service. A reception will follow in the reception room located at the funeral home. A Mass of Christian Burial will be celebrated at Old St. Joseph’s Church at St. Norbert College in De Pere, Wisconsin, on Tuesday, August 21, at 6:00 pm. Burial will be in Mount Calvary Cemetery in De Pere. In lieu of flowers, memorial contributions may be directed in Mary Margaret’s memory to the St. Vincent De Paul Society of Marquette, 2119 Presque Isle Avenue, Marquette, MI 49855.